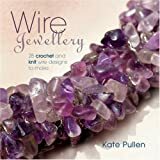 This is the book that got me into making knitting and crochet jewellery. I found it in a local second-hand bookstore and decided to give it a go. 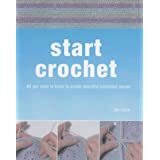 It gave me the basic techniques and you will be able to see which of my early pieces are made from here. I got this book out of my local library. It has given me some inspiration – in particular the twisted pieces. Thank you for sharing this information with us. It will be very helpful.